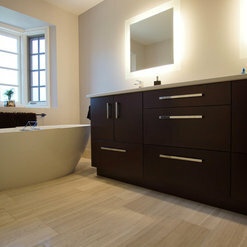 Timbercraft Renovations is a general contractor specializing in high end additions and custom renovations. 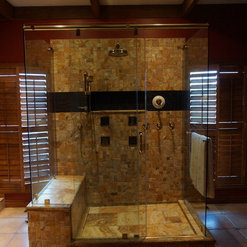 We work with you to design and build the renovation of your dreams. Your ideas and design concepts are first put into a comprehensive plan to ensure your renovation is exactly what you have dreamed about. 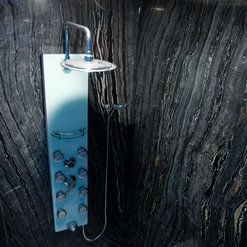 Our commitment is to ensure that that you enjoy your renovation experience from the initial concept through to move in. The relationship between our company and our clients is of the utmost importance, to ensure the best design, quality and value. 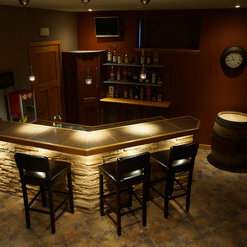 At Timbercraft Renovations we firmly believe that it's best to build it right the first time, cutting corners will always cost more in the long run. Over the 14 years we have been in business, we created a strong partnership with many sub-trades. We use only the best people in the industry, ensuring that everyone is properly licensed and insured. 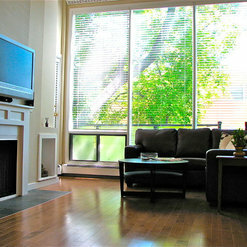 We hired Paul from Timbercraft renovations to renovate our upper level on our 100 year old home. We chose Paul as he was very approachable, honest and put a great deal of time and effort into assembling our quote, whereas other companies seem to just blindly throw out random numbers. Paul understood how important sticking to the budget was to us and made good recommendations on where we could save money. The scope of our project changed due to unforeseen circumstances of a 100 year old home, Paul did a great job explaining the issues and would provide different ideas and price points to address them. The work on our home was very well executed, we are thrilled with the results and would work with Paul again in the future. 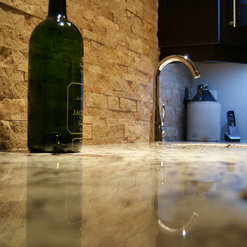 As a stone and tile wholesaler, we are always searching for quality contractors to recommend to customers. 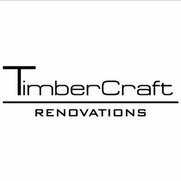 We are constantly referring Timbercraft Renovations and hear nothing but positive feedback and praise. Both Paul and Todd are very innovative, personable and knowledgeable tradesmen with a talent for detail. 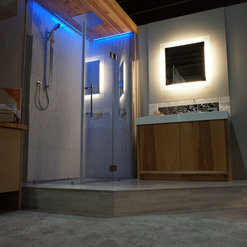 We have used their services for the construction of two out of our three showrooms. 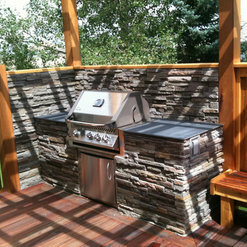 In addition, Timbercraft is our certified Bolder Panels installer because of their expertise with it's unique composition. Recommend on a regular basis and will continue to do so. Paul is a very multi talented contractor, he is very respectful in his approach, listened to what we needed and even suggested things we had not considered. Plus if the changes we were asking for were not quite right he had a way of setting it up as requested and leaving it overnight for us to "think on it". Which usually resulted in us changing to his recommendation! We bought a former show home that was set up to flow large numbers of people though the home but was not a truly functional design to live in. 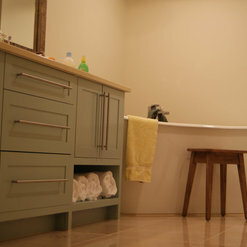 We engaged Timbercraft Renovations Inc to renovate the master bathroom which was exceptionally large, but had no shower, cupboards, storage or even privacy around the toilet! 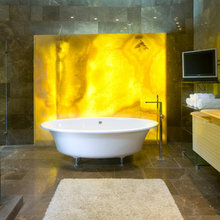 With the suggestions provided we have a stunning, fully functional bathroom that looks like it has always been a part of the original home (wonderful lateral drain, travertine tile, full height clear glass and matching brass fixtures), additional insulation in the ceilings, additional lighting throughout the mainfloor of the bungalow, paint that highlights and pulls the entire home together. At the end of the day, all the things we knew had to be done to the house (and a few we didn't) were completed in a professional, friendly manner. We no longer have a former show home, we have a "home" that we are pleased to share with friends and family. 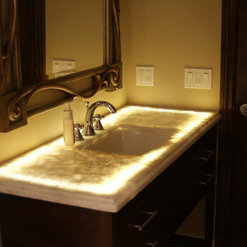 Thank you Timbercraft Renovations for listening and giving us what we actually wanted. 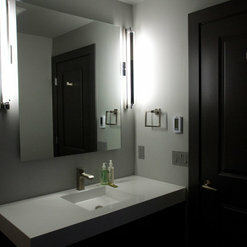 Commented: Love the mirrors! 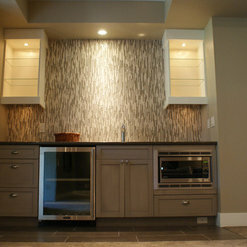 Where are they from?Tile is Wooden white marble 12 x 24, sourced from Stone Source Intl.